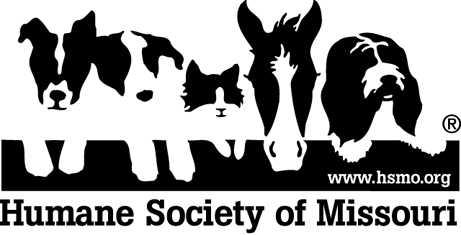 Humane Society of Missouri Animal Cruelty Task Force is transporting 132 dogs from Diana’s Grove Dog Rescue near Cabool, Mo. in Texas County to HSMO Headquarters in St. Louis. The animals are small-to-medium size dogs of various breeds. The HSMO Animal Cruelty Task Force is acting at the request of the chairman of the Diana’s Grove Board of Directors who is concerned about the welfare of the animals due to a temporary crisis in which the organization has become overwhelmed with the number of animals they are caring for and within a few days of not being able to pay staff or buy food to care for the animals. Upon arrival in St. Louis, each animal will receive an examination by HSMO veterinarians and receive appropriate vaccinations, parasite prevention and other medical treatment, if necessary. All will be spayed or neutered before being made available for adoption. Persons interested in adopting any of these dogs should visit the Humane Society of Missouri’s website at www.hsmo.org. Some of the animals could be available in the next several weeks. Donations of long-shredded and flat newspaper, dog toys, bed sheets, towels and blankets may be brought to the Humane Society of Missouri’s Macklind Ave. Adoption Center, 1201 Macklind Ave., St. Louis, Mo. 63110. ← November is Pet Health Month!